Spirituality, spirit, and the souls agenda - spirit is synonymous with the word spiral; they are the same word, from the same root. 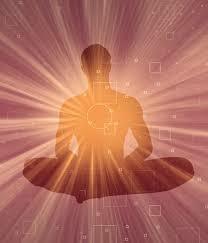 Spirituality deals with the evolution or the movement of energy. That energy comes from the soul’s mission or agenda. Our soul’s agenda comes from the greater or higher consciousness or supreme thought, which trickles down to a spirit. A spirit is a shade or character as the soul has no character, the soul only has drive and will. With drive and will one needs a vehicle or avenue to express the drive and will of the soul. The spirit is propelled by the soul’s energy. Therefore, spirituality is having the sensitivity to those various avenues and paths and having the ability to see the numerous options of the expression of spirit. For example, if one is a spiritual person, they will have many archetypes, characters and designs to pull from in order to accomplish something. This is a measurement of spirituality and sensitivity to energy. Those of us who are classified as people all have a measure, portion, or rationing of soul energy. This measure of soul energy maintains equality amongst all who maintain a soul. People come with various measures of what some call ase, chi, prana, moyo, power, life force, etcetera when one incarnates back onto the planet – it’s an endowment that is measured based on the commission that is put on our life. One may come with a greater understanding of metaphysics and the unseen reality because they have incarnated to the planet numerous times due to mistakes that were made. Therefore, they may have more residue power however they may also have more karmic balancing to perform. Therefore having less power, or ASE does not mean you are more innocent it just means that your charge on the planet may be different. When people hold on to their gifts from their last incarnation, which they did not want to let go, they live frozen in a certain hell; a triple stage darkness. Therefore they become stuck in their ways and actions because they want one thing. Some have become comfortable in their dysfunction due to this frozen state. The things that are functional have become unusual, and things that are dysfunctional have become the norm. For example, it’s functional to do something in this society that does not work and that has become the norm. For example, one may keep praying to the same entities, doing the same rituals, and saying the same chants even though there is no relief or light breaking through. Many people who are stuck in these cycles of unhappiness or lack of peace are stuck due to ritualistic ways of doing things that are recreating their ritualistic cages of hell. Ultimately people are stuck and unhappy because they are separated from their soul’s mission. The soul has an inclination to constantly move forward. Your Ori is your doppelganger, or your spiritual double. The Ori always has a desire to push forward and perfect itself.